Crazy Rich Asian has become a massive hit we know but now it is the most succesful romantic comedy put out by a Hollywood studio in history at the North American box office beating Amy Schumers Trainwreck in 2015. Romantic comedies are a rare thing in recent years. So few are made. So few do well. In 2009, Sandra Bullucks The Proposal made $164 million in North American (not considering inflation) but Crazy Rich Asians is going against the norm of a drop in interest and produciton of romantic comedies. 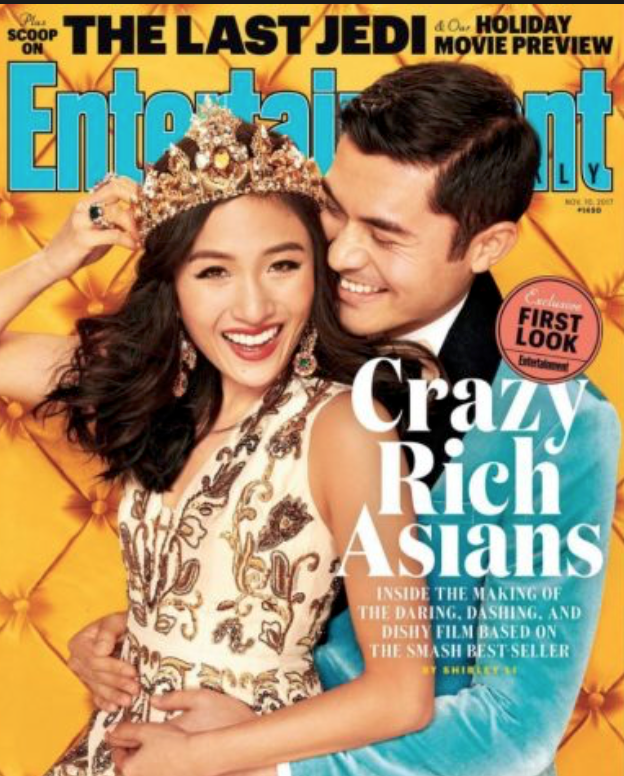 Crazy Rich Asians, based on a mega hit bestseller, cost $30 million to make and has now made 26% of all the moneies in North America in the month of August. It has now beaten last years Girls Trip, that made $115.2 million, and was the hit of the summer, to now become the most sucessful live-action comeday in the last two years in ANY genre. It can also credit its great title for bringing in audiences I say and did another great thing; It cast an all-Western Asian heritage cast and is the first Hollywood studio film to have such an all-Westernized Asian casting since The Joy Luck Club in 1993. Brilliant move. Attracts such a vast audience. You can be sure there will be many more copy cats coming out soon. There is also a trend in ethnic comedy these days; finding humor in the cultures of the world and having those culstures create the humor. I think this makes for big laughs and hopefully we will be seeing much more. At the mega Just for Laughs Comedy Festival each year in Montreal, The Ethinic Show - where a lineup of comediens make fun of their own cultures - has been one of the most popular lineups over the festivals decades of offering it. Crazy Rich Asians is fun and worth seeing if you have not already. It stars Rachel Chu (Constance Wu) and Nick Young (Henry Golding) as they head back to his home of Singapore only for Rachel to find out her boyfriend is not only from one of the richest families in Asia but is also one of the hottest eligible bacholors. That alone sounds funny. It is funny. And get ready for more rich Asians as the next one has already been green lit.